Forward Home Security is based in Dallas, Texas and serves The Dallas–Fort Worth–Arlington, TX Metropolitan Statistical Area. The company also provides services in the cities of Austin, Houston, and San Antonio. In 2012, it was ranked as one of the 500 fastest growing private companies in the United States. Forward Home Security uses security equipment supplied by Digital Security Controls (DSC). DSC has been in business since 1979 and has an excellent reputation for hi-tech quality hardware. Apart from this, Forward Home Security offers free activation and installation for all new customers. This is attractive for first-time customers who can usually be charged nearly $100 for such a service. They offer a wide range of security and monitoring equipment to choose from, many of which can work with a customer’s existing hardware, leading to further cost savings. The company is also known for great customer service with many online reviews praising their quick response times and dedication to resolving customer issues as soon as possible. 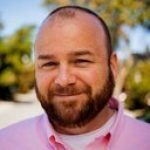 Despite a free activation and installation service, the company has a minimum 36-month contract obligation on all plans. This is in line with the industry average but there are many new competitors in the market who are offering 12-month contracts and even no contract obligations at all. Furthermore, an early cancellation will mean a customer has to pay 100% fees for the remaining period, which can turn out to be quite costly. Another concern is that the company does not properly set out all of their terms and conditions for their contracts. No detailed information is available on equipment warranties or transfer fees and with a 36-month contractual obligation, such ambiguity only makes it harder for first-time customers to choose Forward Home Security. Forward Home Security is one of the fastest growing companies in America and has a developed reputation as a provider of quality security services in Texas. However, it is not suited for individuals looking for cost-effective solutions, since the company’s 36-month contracts can become quite expensive. Existing System Package – $17.95/month: The lowest-priced plan offered by the company which can work with a customer’s existing equipment. 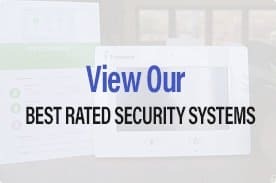 New System Package – $27.95/month: The basic plan offered to customers who require a completely new alarm security system. Smart + Phone Package – $45.95/month: A security system that comes with a smart touchscreen control panel. Smart + Home Energy Package – $54.95/month: One of the more expensive packages offered by the company which comes with an energy management system. 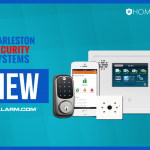 Smart + Home Plus Package – $64.95/month: The complete home security package which combines energy management, touch screen control, and video surveillance. 24/7 UL-licensed monitoring for Police, Medical and Fire emergencies. All home automation and security equipment provided by the company is supplied by Digital Security Controls Ltd. Some services are provided in partnership with the local Smith monitoring company. Customer support is available through an 888 phone number but the company’s website does not provide any email id or even an office address to reach the company. Furthermore, the website lacks a live chat support service and does not provide links to the company’s social media pages, which otherwise might have been helpful. The company provides free installation and activation on most of their plans. They have a 36-month minimum contractual obligation for all new customers. Early cancellation is possible but can be extremely expensive since a customer will need to pay the full amount of the remaining contract. Further details on cancellation policy or warranties are not provided on their website. For customers living in the State of Texas, Forward Home Security can provide quality products, reliable monitoring and some of the most advanced security equipment on the market.However, it is not the cheapest vendor in the market with a 36-month contract obligation and plans that can cost up to $64/month. If price is a key factor in your decision making, then you will be better off looking elsewhere, but if the quality is of prime importance, then Forward Home Security might be a good choice.